You can find the current Four S here. The Four has been coming for a while now. Not on our future model list, not as part of the grand Orange plan, but from deep within our hearts. It started with one of those ‘what if…” conversations where we all found ourselves on the same page. Has the 15 year evolution of the Five left a bike sized gap behind it? Maybe. We swept clean the drawing board and sharpened a pencil. What would our ultimate short travel, fast, lean mean climber of an all round trail bike be? How much travel? 120mm feels right. To make this bike climb well we would want a nice short chain stay, so lets start with that. With a shorter chain stay and a small 44x184mm shock we can pull the pivot point rearwards to make the swing arm more compact. So wait, with a compact swing arm we can pull in the split rear design to make a lighter, stiffer swing arm; a wider 12x148 Boost hub spacing would help there too, right? On paper this is looking pretty tidy. If we’re going short travel and we don’t have the frame stresses of a long fork, could we use a thinner gauge aluminium sheet as our base material? Yes we could. As for the geometry, we’ll run a nice long top tube and keep stems short, that’s a no-brainer. It keeps the wheelbase long for stability and the bike handling direct and fast. Optimised for a 130mm fork, the bike can run a generous sag for that plush feel that we all love. We felt we were onto something, and started a prototype program. And if we were going to do this we may as well go for it. 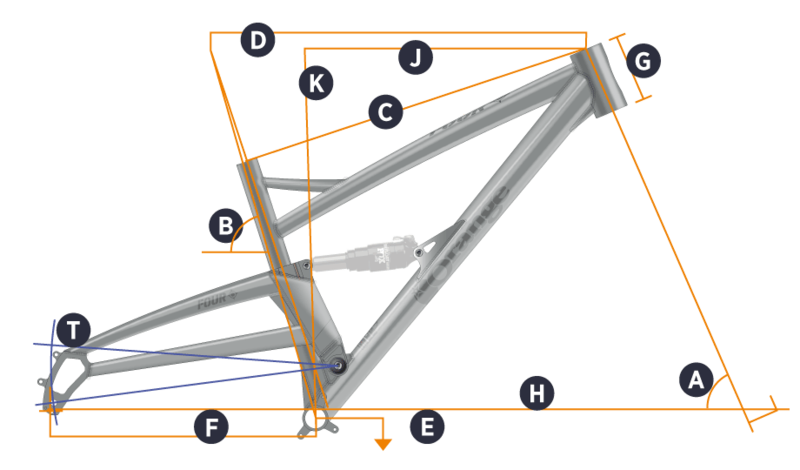 We looked at every part of the frame from our aircraft grade 6061 aluminium sheet to all the nooks and crannies of the CNCed dropouts, bottom bracket shells, and headtubes to see where we could lose weight and gain strength. At every step we found something that would add a little to the mix. Marginal gains is the buzzword these days isn’t it? It was worth the effort, the first frames off the bench were under our expected weight estimate. Even the heat treating guys got excited about that (and heat treating guys never get excited about little things like that. After all, they work with fire, and thats pretty exciting). When built up, our first bikes were coming in at around 27.5lbs (Yes, we said a weight!). So onto the serious business of testing. The first feedback was pretty succinct. “Why hadn’t we done this before now?” Well, a few reasons, the main one being rear shock technology is now so good that a non-bobbing short rear end on a single pivot frame is a reality - not on a wish list. The practical upshot of all this is that we had more in our legs for long climbs, more energy for the descents and smiles as big as we’ve had on any Orange bike. What’s more, even with the light build and a lot of hard riding, we had no frame issues. The Four was born. So after all that, Who wants a Four? Well for starters, we all do. ​The optimum blend of price, specification and performance make the Four S the perfect choice for the fast trail rider. Perfect for upgrades. Formula + Alex MD23 27.5"